→What Is The Best Theme For Amazon Niche Site? Building a Niche site is the most efficient way to promote Amazon products. Working your way through “Niche Sites” takes a lot of research for the keywords, the content you are going to offer your readers. But along with content, you need a perfect CMS and theme for your niche website to create a visual appeal. To create an ideal Amazon niche site, just make sure it’s simple for readers to navigate and interact with your contents. WordPress is by far most popular content management system (CMS) to have at your disposal to achieve this goal. WordPress allows you to make a personalized, professional looking site without expensive web design software and services. Through hundreds of plugins and theme choices, you will be able to add dozens of functions and unique looks. When it comes to themes, using the default WordPress theme leaves you with a limited palette for creating excellent reader experiences and impressions. By investing in a professionally developed WordPress theme, you can appeal to your audiences through the content, the visuals of the site. In the process, strengthen your niche site loading speed, search engine ranking, page view, conversion rate and finally profit! 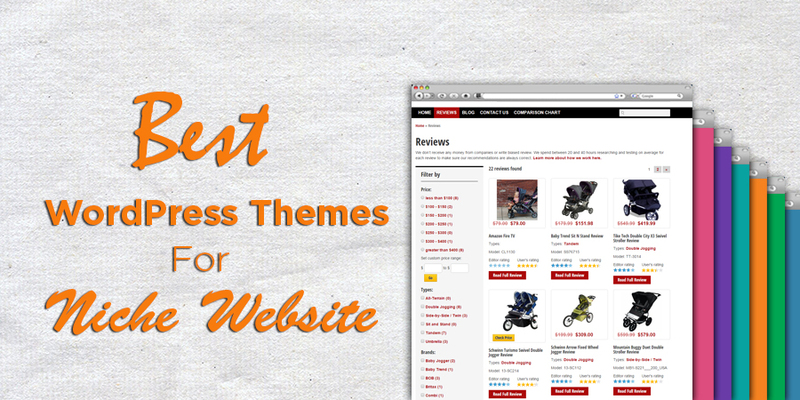 No theme exist that will fulfill all of your Amazon niche site requirements. You need to do some customizations by adding plugins, setting up unique widgets and related stuffs. Ultimately, you will want to use themes that will provide you with the most simplistic front-end design, clean in look, light weight pages, and functions required to run a magazine type site that will fit into your budget. I’ve done a lot of research on the best WordPress themes for my niche site projects, and now writing this content to save you countless research hours. 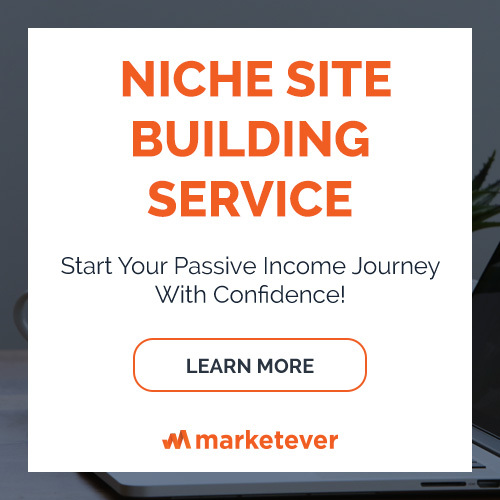 Allow me to help you find the theme that will get you the most “Bang for your Buck”, and help you take your Amazon niche site to the next level! I have tried a lot of WordPress themes in my projects before. But most of the themes failed to fulfill my requirements. However, some of them worked fine, and I’m using them on my niche sites now. AuthorityAzon is now my # 1 choice while building an Amazon niche site. The theme is created by Tung Tran from Cloud Living. AuthorityAzon has been getting a lot of attention lately for its impressive affiliate options. Tung Tran seemed confident claiming to have created the “last WordPress theme you’ll ever need”. AuthorityAzon actually has the features to help back up their exuberant claims. You know which is the most tedious task for Amazon affiliates? It’s generating affiliate links from Amazon associate dashboard and pasting it to post, AuthorityAzon makes this frustrating task simple! All you have to do is put in a product’s ASIN, click “Get Data,” and the impressive theme option will retrieve all sorts of relevant information, such as product specifications, prices, ratings, and reviews. Focusing more on user navigation than visual flair, AuthorityAzon provides a user-centric theme. With a wonderfully intuitive advance filter for searching products available on a page, and a useful comparison chart feature built in, your readers should have no problem finding the exact product they’ve been looking for. 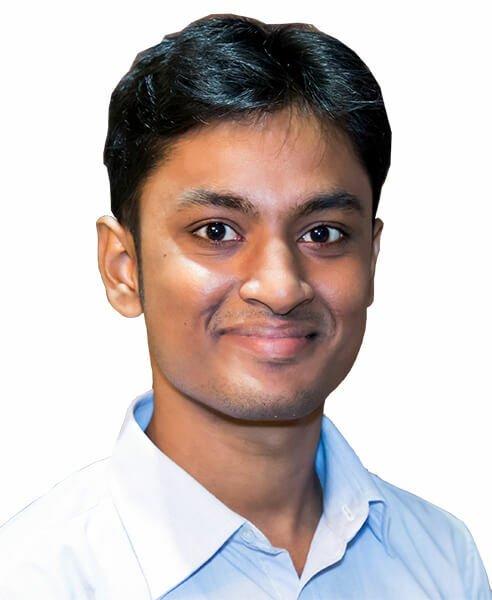 This intuitive quality will help your page acquire more conversion rate and boost the reputation of your brand. Just because AuthorityAzon is focused on user navigation and CTR, however, does not mean it ignores visual appeal. With tons of customization options, you can strike the balance between “Aesthetics” and “User-friendliness”. Perhaps, the greatest strength of the AuthorityAzon theme is its intuitive back-end the enable users to make required changes to Amazon niche sites. FocusBlog is mainly a multi-purpose theme by Thrive Themes. This is the exact same theme I’m using to on this site, marketever.com. Mainly focused on speed and SEO optimization, FocusBlog is known for functions that help you to design beautiful pages with its Built-in Shortcode option. With an automatic page generator, and well placed and easy to create mailing list forms, you will be able to keep the traffic you gain engaged with your site and add to the email list for additional up-sales and down-sales. Another attractive feature of the FocusBlog theme is its cross-platform compatibility. Whether your visitors are on mobile or desktop platforms doesn’t matter with FocusBlog. The responsive theme suits every platform and is compatible with Google’s mobilegaddon update. Buying FocusBlog is one of the best investments you can make for your niche site. The best thing about this theme is: it’s beautiful and conversion-focused! Guaranteed To Get The Best Support Ever: I bought digital products worth thousands of dollars till date. But Thrive Themes (developer of FocusBlog) won me over with its “Quick Customer Service Response”. You just need to contact them about your problem, leave your WordPress username, password and they will immediately solve the problem. Also, they will document everything and send you back in details screenshot why the problem occurred. Sahifa is perhaps the most popularly used theme on this list along with AuthorityAzon, and is currently the #1 selling WordPress blog and magazine theme on ThemeForest. With over 16,000 current sales, you can rest assured that your investment is backed by popularity! One of the innovative features that makes Sahifa so popular is its multiple layouts. The theme is fully responsive and retina ready. The site will adjust itself to appear optimally depending on what display dimension the user is visiting your site on. The best feature of Sahifa is, you can add rating box within your contents as schema markup. Plus, the rating will also automatically be shown on search engine result page that will eventually increase your SERP conversion rate. As one of the more budget-friendly choices on this list of themes, the Hooray provides an excellent solution for your niche site needs. Along with all the essential features, you get basic versions of the retina ready technology and response tools that make Hooray so popular. Additionally, you will get access to all kinds of useful customization tools that will help you create a visually beautiful page that your visitors will never suspect as having come from a theme! For those who are worried about their ability to use all of these awesome features effectively, Hooray provides a ton of useful video tutorial guides. With user-friendly interfaces, Hooray provides an ideal solution for those just starting out with theme use. They’ve got the default product rating system that will automatically be shown in Google search. Dave Nicosia, a famous internet marketer, tweaked a theme and used it for one of his review websites. It turned out so effective that he later made his customized theme for his own project into a product for fellow marketers. It became Ultimate Azon! If you want to use a proven formula for the layout of your pages, Ultimate Azon provides a literal example of that. By using the easily accessible discount codes on the site’s page, you can get this tried and true theme choice for an incredible price of just $47. Dave’s goal is to bring about the end of the age of bad Amazon affiliate themes, Ultimate Azon is perhaps the most user conscious theme on this list. With Ultimate Azon, you can use over 70 possible style combinations to ensure the layout of your page is successfully targeted toward your customer base. You can also add some flair to your products’ appearance, with customizable colors, sizes, and styles for your product layouts. Ultimate Azon has built-in Amazon link localization feature (similar to AuthorityAzon), it means, whenever a visitor from Canada will visit your site, and click on your affiliate link, he will be redirected to Amazon.ca version instead of Amazon.com. You can earn up to 25% extra using this simple feature! You can also use its advanced link tracking feature that will help with tracking your affiliate links. The site CTR is easily traceable using a mixture of Ultimate Azon and Google Tag Manager tracking technology. There is no direct answer on what theme you should choose. I use all of the themes mentioned above, I can suggest you user-friendly and savvy themes but choosing the final one for a particular project depends on site to site, product to product. Please feel free to let me know if you have any questions, or feedback on which one you loved most! Thanks for the heads-up, Mahbub! I was planning to buy Ultimate Azon, but I saw it’s only #5 on your list. Any reasons why it’s the least among the 5? Just my personal preference. I took several considerations before ranking these 5. Great collection of theme Al-Amin. I agree with your points as well. One of the things that will also determine your success when it comes to blogging is the wordpress theme you chose to use. It does not matter if you are building niche sites, authority sites or even ecommerce sites, its very imperative that you choose a good looking, SEO optimized and mobile responsive theme for your blog. Even though the theme itself might not directly make you money but, it will save you a lot of troubles. What do ya think about avada wordpress theme? May be I’ll buy thrivetheme landingpage. I need some feature for my blogs. btw,I’ve tired built blog for amazone.. I failed for that. Now, I’m focusing on Adsense & JVzoo. Can i use any of the listed themes as an alternative of others or need to use all, as you know most of the the themes are paid. Planning to use hooray. Used sahfia, didn’t liked it though. However, thanks for the suggestion. Assalamu Alaikum. Hope fine. Thanks for your nice effort. However, as a beginner can you share any free theme for us please? Stay fine. Great roundup here! As we all know, there is no single theme that works for all websites and all people. As the developer of the Ultimate Azon Theme, I just want to make sure that everybody knows that UAT is a “blog/review” style theme – not a “storefront”. HUGE difference there! In my experience, storefront themes seem more like “fake eCommerce” stores and are off-putting for many visitors. They LOOK like the main goal of the website is for the owner to make money. In contrast, the “blog/review” style themes convert much better in every test I’ve ever ran. Most bloggers I know that have tried storefront style websites eventually switch to “blog/review” style sites. UAT was my own custom personal site, built and optimized for the highest CTR possible over the course of a year, that I later released to the public, and that’s why over 600 people are now using it! If anybody has questions about the Ultimate Azon Theme, I’ll check back to answer them. Great article on themes for Amazon niche site. Looking forward to start testing. Could you recommend FREE WP Themes for amazon review site? Awesome gathering of topic Al-Amin. I concur with your focuses too. Something that will likewise decide your prosperity with regards to blogging is the WordPress subject you utilized. It doesn’t make a difference on the off chance that you are building corner locales, power destinations or even e-trade destinations, it’s exceptionally basic that you pick an attractive, SEO upgraded and versatile responsive topic for your online journal. Despite the fact that the subject itself may not specifically profit but rather, it will spare you a lot of inconveniences. Awesome article on topics for Amazon specialty site. Anticipating beginning testing. Very useful information which will help any propsective Amazon affiliate ! Just wanted to know whether themes like WP-Zoner, Shop Express and Stream Store will meet Amazon’s TOS for affiliate sites. From what you have said WP -Zoner features the amazon logo on the header which I suspect is a big NO . Thanks for the awesome suggestions. I have a query. If i use a free version of one of those themes, is that harmfull for my entire affiliate process o not. What do you think. Great comparison / review. I’m currently doing some research between the Ultimate Azon Theme and Authority Azon. I’m very intrigued by the 2.0 version of UAT, and was seeing how other themes compared against that. Appreciate the time you put into this.